Split screen view or multi window mode feature is helpful to use two apps at same time in your OnePlus 6 device. You can watch YouTube video and chat with your friends on Snapchat or WhatsApp at same time. Did you found split screen mode option in your OnePlus 6? 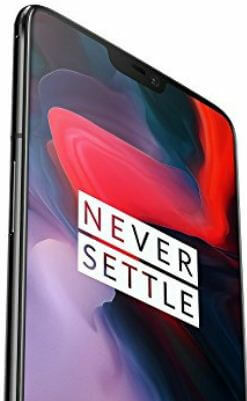 Let see how to enable and use Split screen on OnePlus 6 Oxygen OS. In most of all devices press the recent apps button and hold the app want to use multi window mode. Have you tried this method in your OnPlus 6 device? In this tutorial, I’ll show you how to use split screen on OnePlus 6 Oxygen OS using buttons settings. Here you can see Navigation bar & gestures, swap buttons, home button, recents button and back button settings. Now you can see the set app on upper half of the screen in your device. Not all apps supported this split screen mode feature. To adjust the split screen display, long press the slider in middle of the screen and move up or down. Now enjoy this OnePlus 6 multitasking features. You can surf the internet and listening music at same time and other two activities also. To exit split screen mode in OnePlus 6 Oxygen OS, long press recent apps button in your phone. It’s quite easy to enable split screen mode in any android device. And that’s all. Do you know any other methods to use Split screen on OnePlus 6? Share with us in below comment box. Don’t forget to share with others if you found this tutorial helpful. Stay and connect with us for latest updates.